Worldwide tablet shipments rose 3.9 percent during the March quarter to 50.4 million units. Apple continued to lead all others with the companys iPad line. Still, Cupertinos dominance over Samsung continued to erode, according to a new IDC survey. 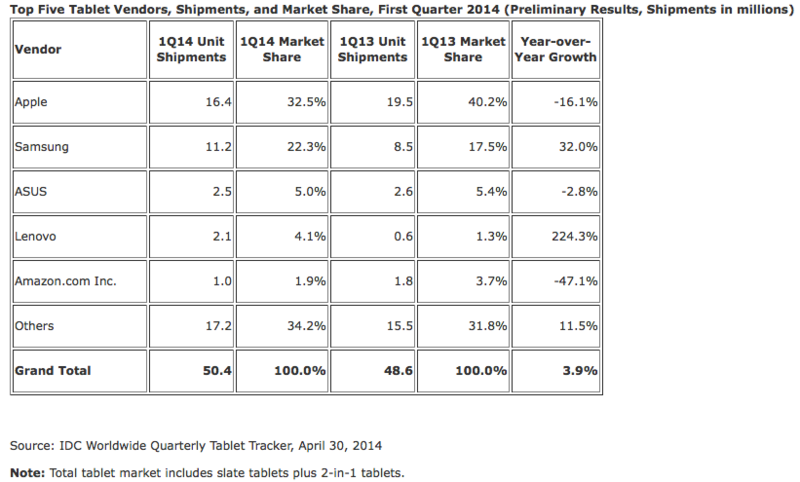 For the first quarter of 2014, Apple sold 16.4 million tablets, or 32.5 percent of the total. This compared to Samsungs 11.2 million units. Combined, the two companies accounted for 54.8 percent of all the tablets sold. 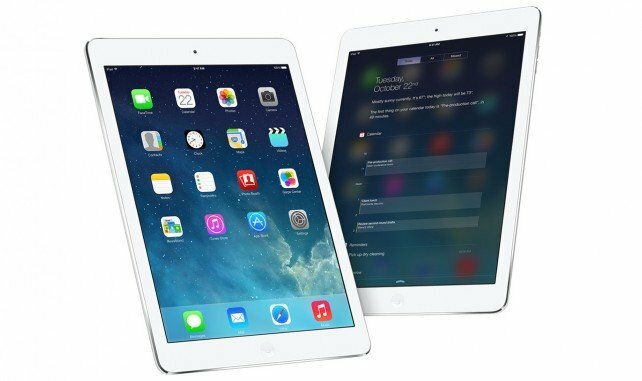 Year over year, Apples iPad sales dropped 16.1 percent. This compared to Samsungs increase of 32 percent. Rounding out the top five were ASUS (5 percent), Lenovo (4.1 percent), and Amazon (1.9 percent). Apple is expected to unveil the new iPads this fall. See also:The One Feature We All Know Apple Will Be Adding On The Next iPad, andApple’s iPad Air 2 Could Be Even Thinner Than The Current Model.